My friend Tom Kallene is a Swede who has lived in Spain since forever. He told me once that the moment he set foot in Spain, he knew he would never live in Sweden again. Like a transexual who believes he has been “born into the wrong body,” Tom was born the wrong nationality. It’s a view I can sympathise with. There is nothing that is not rather wonderful about Spain, and there’s nothing new about pointing it out. From the weather, through the food, the glorious wines, to the way the Spanish people approach the business of living life as if dying simply didn’t matter. 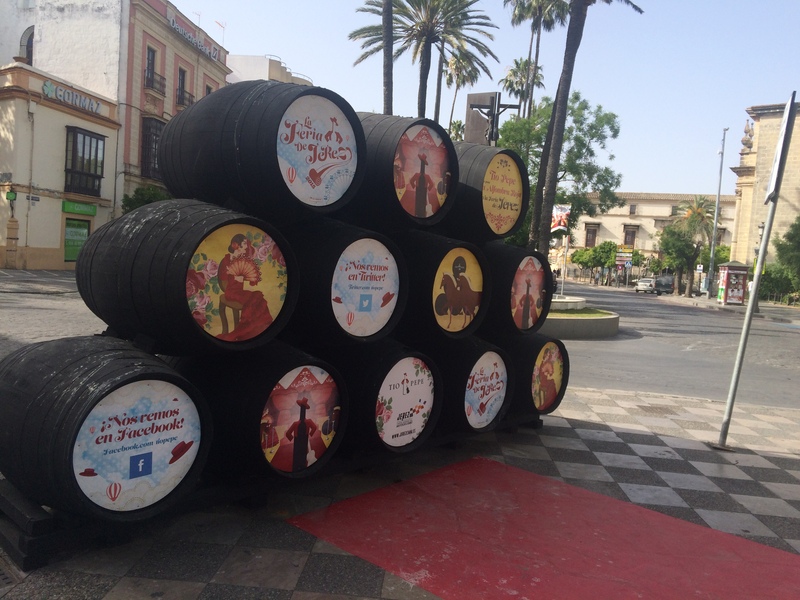 Nowhere are Spain’s treasures on better show than at the spectacular Jerez Feria de Caballos every May. For a whole week (if you can stand the pace and I can’t) this comparatively prosperous Andaluz city, founded on the sherry trade, gives over its massive, dusty show ground to endless small and large “casetas” – temporary structures with tables, chairs, bars, kitchens and – crucially – a dance floor. 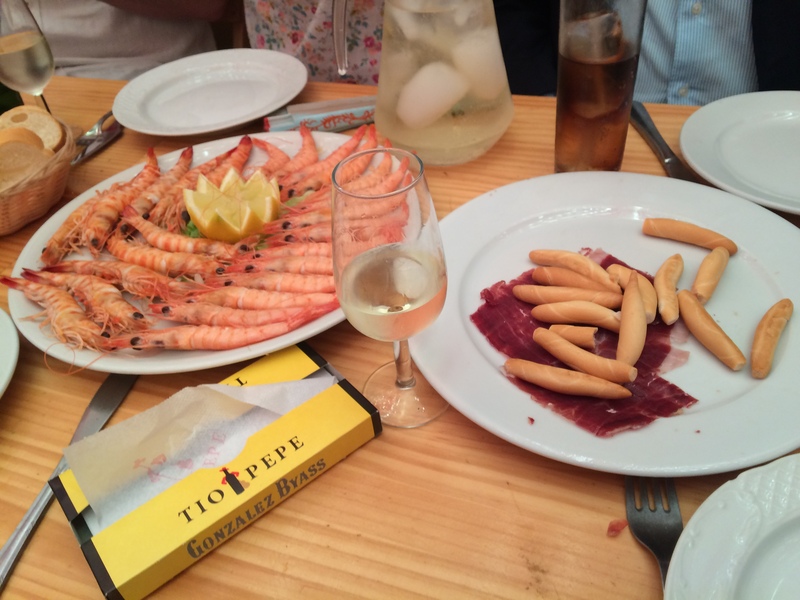 The music is loud and never ends, the sherry (almost always the dry Tio Pepe “fino”) is drunk in vast quantities, either neat or diluted with Sprite for a “rebujito” and – thanks largely to the array of ham, fresh prawns and other snacks on offer – public drunkenness is a rarity. Getting an early night at the Feria means getting home before four a.m.
And one day, I promise I will learn to dance the Sevillanas the joyful regional dance (often mistaken by visitors for Flamenco). I’ve been saying it for years: this time I mean it. This entry was posted on May 18, 2015 at 5:55 pm and is filed under Spain. You can follow any responses to this entry through the RSS 2.0 feed. You can leave a response, or trackback from your own site.